Pirimor smoke generator is fast acting (“knock down effect”) and designed to attack aphids deeply hidden in plants. It is non-harmful to crops and plants and harmless to beneficial insects such as bumble bees and ladybirds. In situations where beneficial insects, especially bees, are at risks, pirimicarb is strongly recommended over other insects. 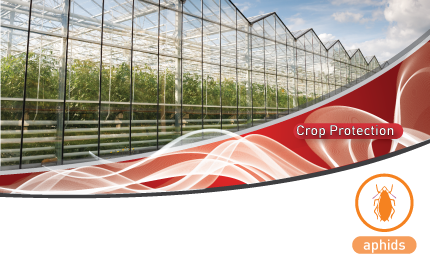 Pirimor smoke generators have the advantage of ease of use plus the fact that this method allows the crops to remain dry. The smoke generator can be applied in growing vegetables, fruits and ornamentals under glass as well as in storage places for bulbs, seed potatoes, and beetroots. 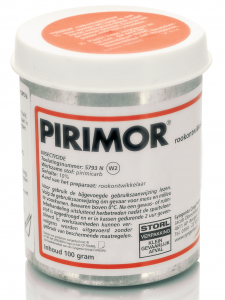 The use of Pirimor Smoke Generator may be subject to local regulation and a registration may be required. Please check with your local authorities or contact us to know more about the registration in your country.